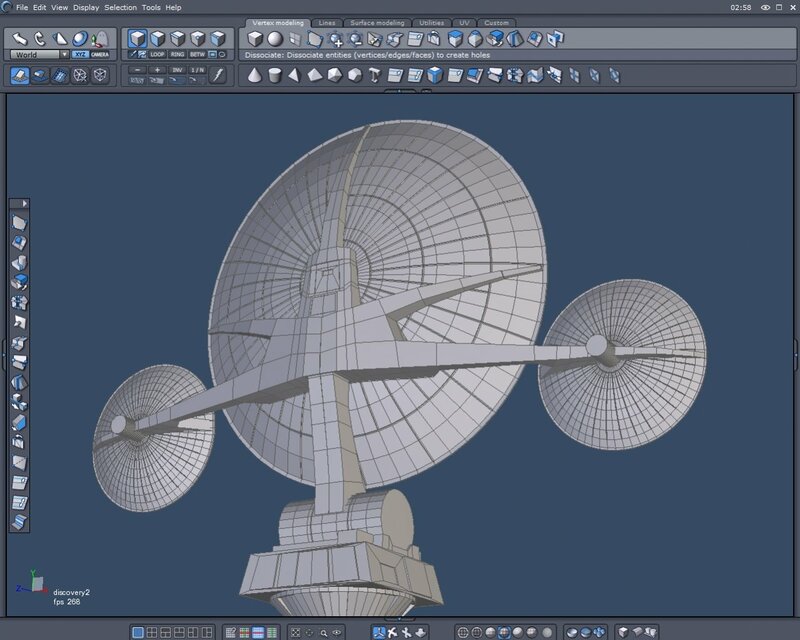 A couple days ago, I started modeling the Discovery One. Great start on one of the best Sci-Fi ships of all time. 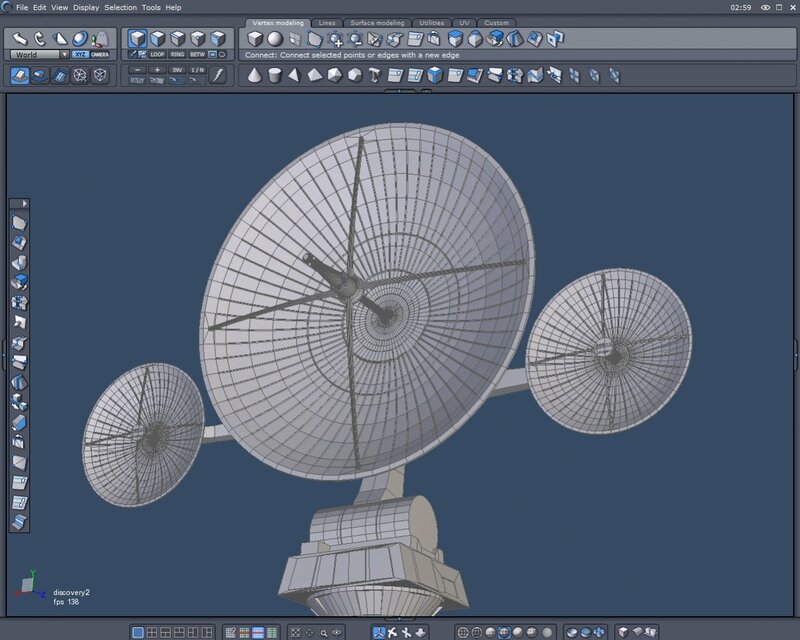 You are doing a really good job on modeling the Discovery from 2001 - A Space Odyssey. Absolutely love that film and the models in it still look totally functional today. Really looking forward to seeing how this progresses. Keep up the great work. 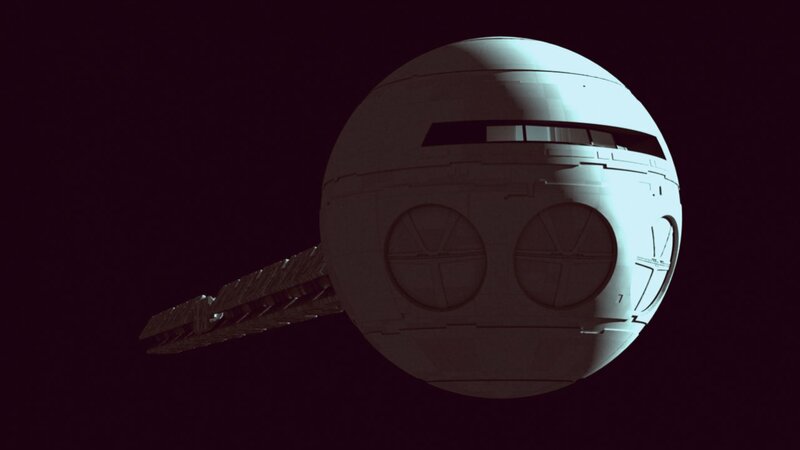 A few years ago, I modeled the Discovery, cockpit, pod bay and EVA pod. Put them all in a short animation in case you are interested in seeing it. YouTube really kind of screwed up on the snap shot used for the video. It really doesn't look so garish in the video. Thanks. I've been using a model hanging in a museum for most of my reference. Some of it is mostly eyeballing. Last night I added the emergency airlock. That is looking really good. Looks like a nice clean mesh. Yep, it's looking really good so far. Got some windows put in finally. And gave it some simple walls for the interior lights for now. Thanks. I finally found some good photo references for the backside of the antenna. So I'm modeling that piece today. And I revised the windows for the fourth time. Here is the draft of the antenna so far. Some renders. I may have the antenna the wrong size. I modeled it separately from the rest of the model. Different lenses give it different scale. These are 50mm shots. Still need to work on the ends. And add more detail to the back of the antenna. I don't know, it looks like it's about the right size. It looks great, just as the rest of the ship does so far. I'd like to see variants of this ship. Imagine one with tankage that attaches to the spine in a helix. 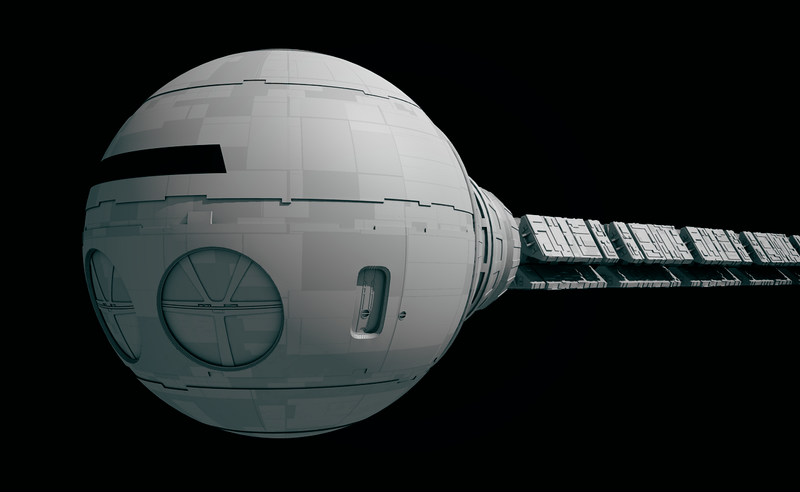 To me, this ship and Drax's space station from Moonraker--and the shuttle--all fit together visually. Moonraker One looks better next to Space Station V however. Oh man, this is one of my favorite ships of all time. You're doing her justice! "My god ... it's full of ULTIMATE COOLNESS!" Isn't that the line from the movie? No? Well, it certainly applies to this model. Accolades to you for picking a classic vehicle and one that is still a p-retty 'hard science' vessel. You really have a task ahad of you as the original model and plans were destroyed by kubrick to keep the discovery from being used in any future cheap cheesy scifi movies, you know. Some discovery trivia for you. The ship was in some ways the first "technoorganic" design, as the command pod and the spar it was linked to were meant to look like a skull at the end of a spine reflecting how HAL essentially controlled the ship like a brain controlling a body. 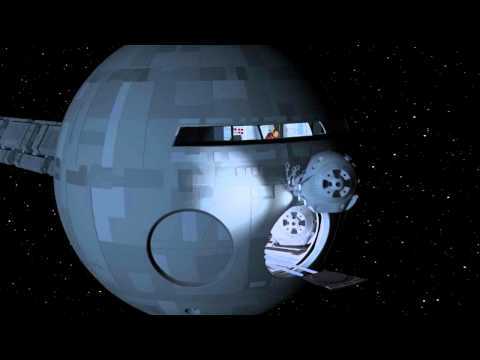 BTW, don't forget that 2001 had some other cool ships like the earth/moon shuttle, the giant ball, remember?